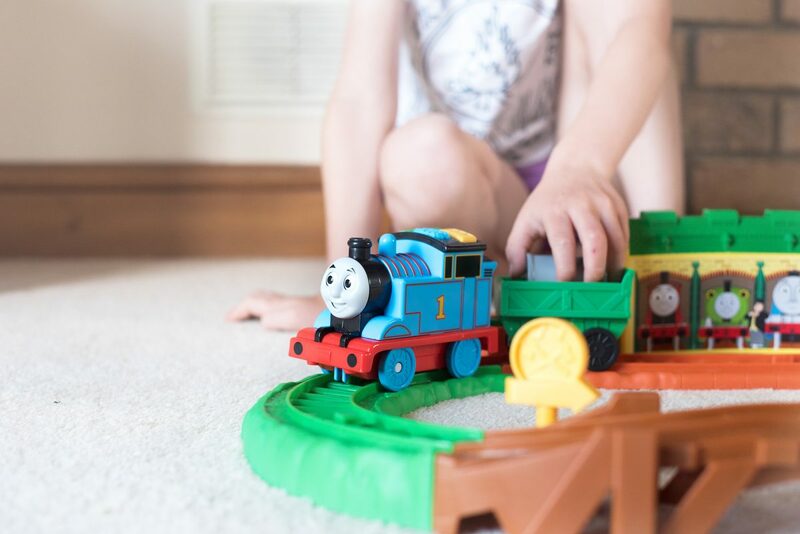 It’s no secret that we adore the Thomas the Tank Engine. 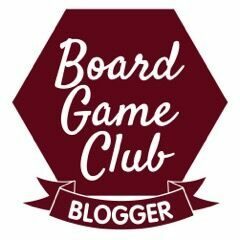 We are regular visitors to Drayton Manor’s Thomas Land as ambassadors, and this week we were asked to review the All Around Sodor playset from Fisher Price – and it arrived so early in the morning that I was delighted it was as easy as it in fact was to assemble, because there was no getting daddy out of bed. Below are bed-headed photographs of our boys loving the new set. 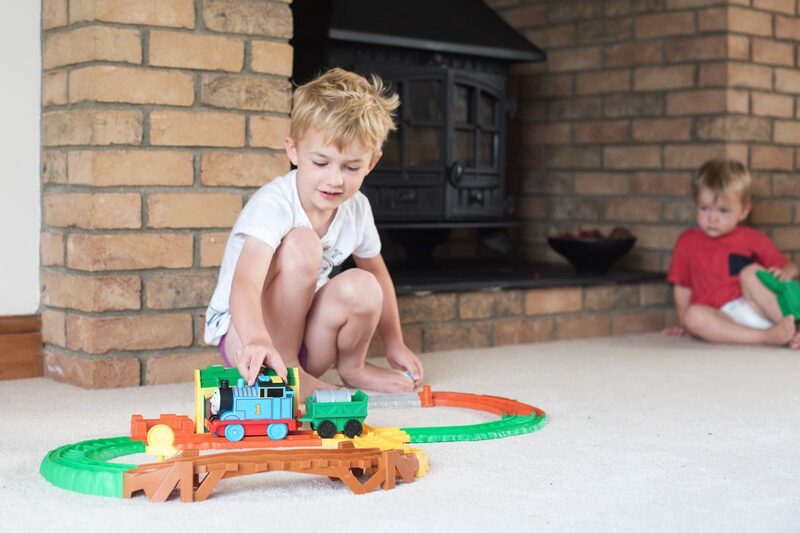 The Thomas the Tank Engine All Around Sodor playset has a figure of eight track and a sturdy Thomas who is bigger than the normal Thomas trains we have – because he’s meant for smaller people. Hero alas is not the best morning person and so you can see him skulking in the background whilst Jensen gets all excited that this is a train with a cargo trailer. 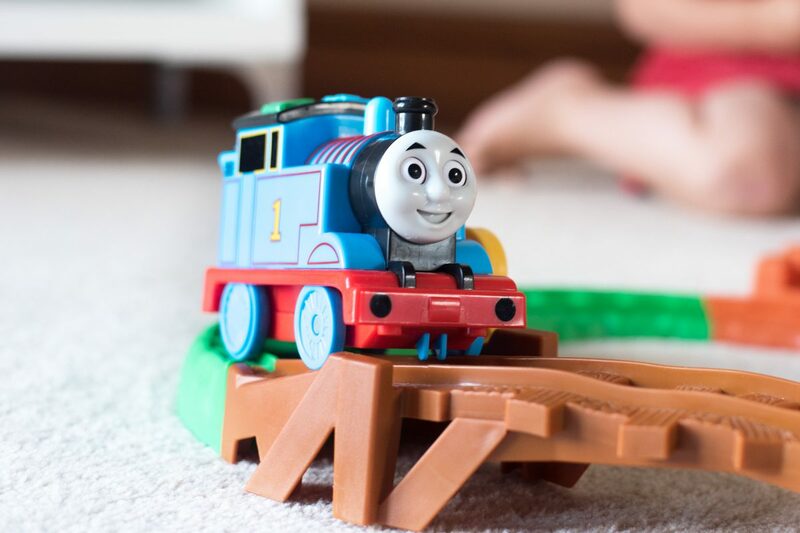 This means little people and figures can travel on the track with Thomas. 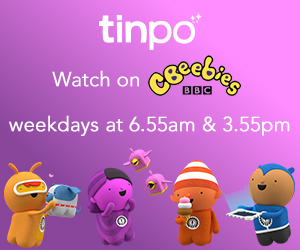 The little Thomas’ eyes move from side to side which is just amazing when you’re so little and Thomas is your hero – he really comes to life. To activate Thomas, there are three buttons which represent the different stations on the track – he will stop at, and interact with the platforms each time a button is pressed. It’s brilliant! 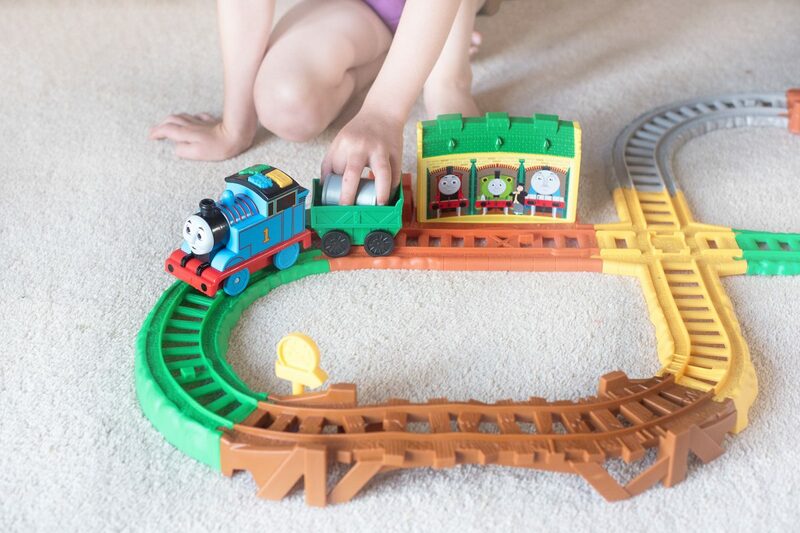 The Thomas the Tank Engine All Around Sodor set is also more sturdy than the normal Thomas Trackmaster sets, and not nearly as complicated to put together. Our favourite parts are Cranky the Crane and the fact that Thomas can pull anything we put into his little trailer. This is by far Hero’s favourite Thomas track!